Drum and learn with the Vtech Sort and Discover Drum. Your little drummer will love dropping the 5 different shaped blocks into the correct opening to learn about shapes, numbers and animals. They can also tap on the lid to hear great drum sounds! 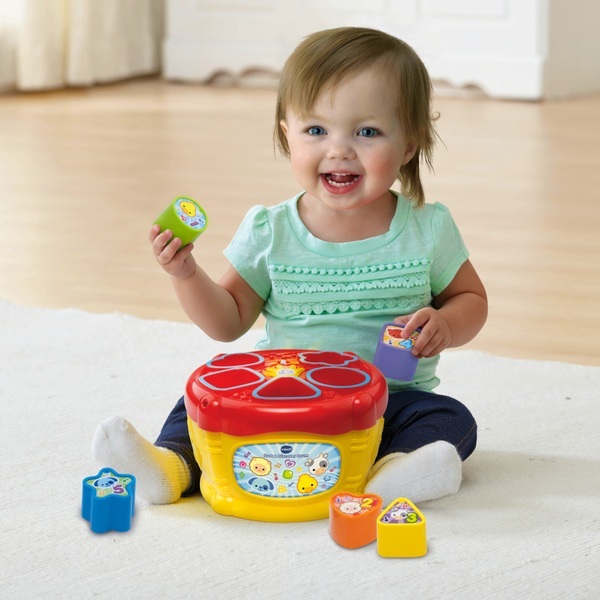 Vtech Sort and Discover Drum helps develop motor skills and imaginative play by tapping the drum and getting reactions! With 3 happy sing-along songs, fun, engaging phrases and lots of jolly tunes your child will always be entertained!